Now I like Brooke, I really do, but I’m not a fan of this coat. Nylon puffy coats may be “all the rage” right now, but they’re meant to go with casual clothes, not professional ones. Given her modeling background, Brooke should know that. This impacts her credibility. Sadly, it’s a mistake a lot of professional women make. They buy one “good” coat every few years and wear it with everything. But they don’t stop to think how it impacts their image. First designed by Thomas Burberry to keep the British soldiers “in the trenches” warm and dry during World War I, a beige or taupe colored trench with a zip out liner will see you through nasty weather three seasons a year. The length works well with dresses and business attire, and folds up nicely for travel. Used by the British navy since the 1720s, the pea coat can be worn with with either casual or business clothes. It also works well with evening attire. Casual coats are great for everyday activities like school runs, errands, going to the movies, etc. But they’re not recommended for professional use. A maxi length wool coat offers maximum warmth and coverage because of its length and fabrication. This is the best choice for professional women, as it offers the level of formality required for business. It can also be worn with evening attire. 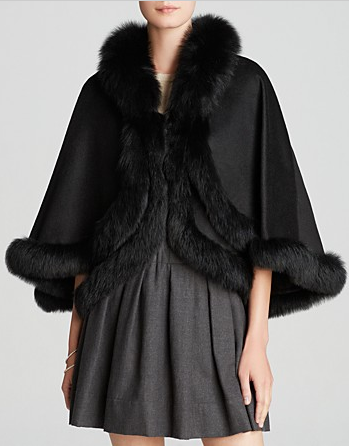 A lush evening cape in wool or velvet will keep you warm on the coldest of nights. 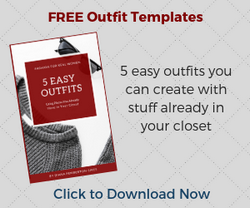 Once a staple in most womens’ after five wardrobes, these can be tough to find these days but are very much worth the effort. Not only will a beautifully made cape keep you warm, it will illicit oohs and aahs from your social circle because it’s the ultimate in old school glamour. These five styles offer the best coverage for most formal and casual events, day and night. While you may have lighter, sportier jackets for spring, summer, and fall, like wind breakers, denim jackets, and the like, these five styles will see you through the coldest weather. Add more formal accessories for business, more casual accessories for down time. But what if your budget can’t handle all these? Or if you only need a coat every now and again where you live? These will see you through most situations. If you look for classic styles in neutral colors, they should last for years. Well worth the money. Whatever you do, DO think about your outerwear as you head off to work. You want to look as professional walking to your office as you do sitting behind your desk. Outerwear shouldn’t be an afterthought. It should be part of your wardrobe master plan. Diana Pemberton-Sikes is an image consultant and author of Executive Style Bootcamp. Ready to to look like the leader your are? Executive Style Bootcamp shows you how. I read Business Wear Magic earlier this year and as a result sorted out my coats. I had been living in a lofted ski jacket, and a Barbour walking jacket with a zip in fleece, but as you pointed out these didn’t really work with business wear. I went with Burberry with zip in liner, but mine is the same length as your Maxi length wool one above, I hope this is OK? I also got a bright red knee length Jacques Vert coat – a plain felted fabric, wool/cashmere/acrylic mix with a small collar, but it has duffle buttons. It kind of crosses the boundary between formal and casual, but I rather like it. Thank you for raising the profile of outerwear having made a change I can vouch that it is worthwhile to do so. Great advice Diana, as always I trust your advice more than anything else I’ve read or even the consultant I’ve worked with in person, because you understand the professional woman’s needs more than anyone else. I just replaced my aging wool dress coat and got a new trench (my one additional piece of advice to add is to avoid a zipper on a wool coat as it’s not at all elegant to be bending down and fussing with it to get it zipped up!). But I do have a very hard time with this guidance because i live in Minnesota and when it’s barely in the teens (as it was all last week), even a wool maxi coat will NOT keep you warm. I would tough it out in a wool coat for something crucial, but hard to feel like I really need to do it daily when my office is on the very casual end of business casual (jeans even). Hi Maya – glad you’re enjoying all the advice! Thanks for your note. I would stick with the wool maxi when you’re conducting business with clients from traditional businesses. If you’re navigating single digit temps to and from your casual office, opt for something that keeps you warm yet also looks professional. I would love to read your opinion about the current trend for thigh-length coats. Trench coats, “puffers,” and even tailored wool coats are too short to wear with business-appropriate skirts and trousers. Where are the knee-length coats that fall below the hem of a dress, look elegant, AND keep the wearer warm and dry? Hi Donna Estelle – maxi length coats are warm and elegant, but they can be cumbersome climbing in and out of cars. That’s the biggest reason I can see for shorter length coats. If you can’t find a maxi coat where you live, look online – you’re sure to find what you need. Sadly I live in a country when -40 temperatures are common…none of these jackets come close to being warm enough!